After pressing Open, in Nero you are immediately presented with the Burn dialogue box. Your application may differ slightly. At this point all you have to do is burn the CD, no further configuration is required. 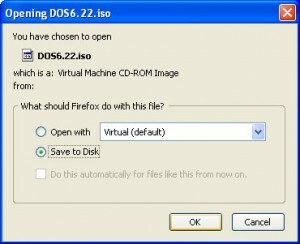 Your bootable CD is now created.Turn on the computer you want booted and insert the CD into the CD-ROM drive. 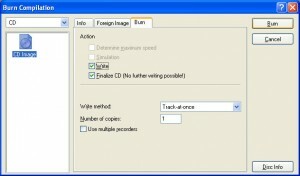 If the computer does not boot from the CD, restart and check your BIOS settings to ensure that the CD-ROM drive is listed before the hard disk in the boot order. For assistance with this, see the documentation from your computer manufacturer. 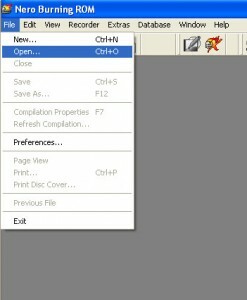 Open your preferred CD Burning application… The example is with Nero. 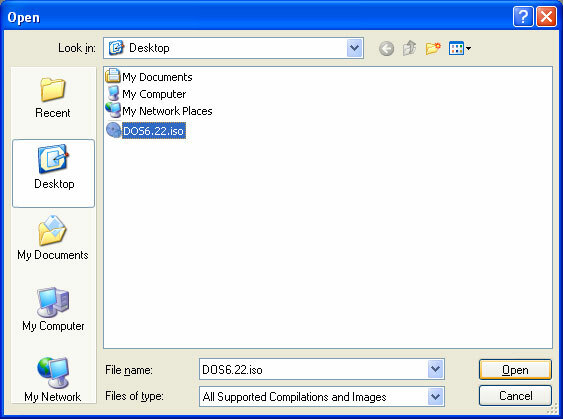 In the CD burning application go to the File Menu and select Open.